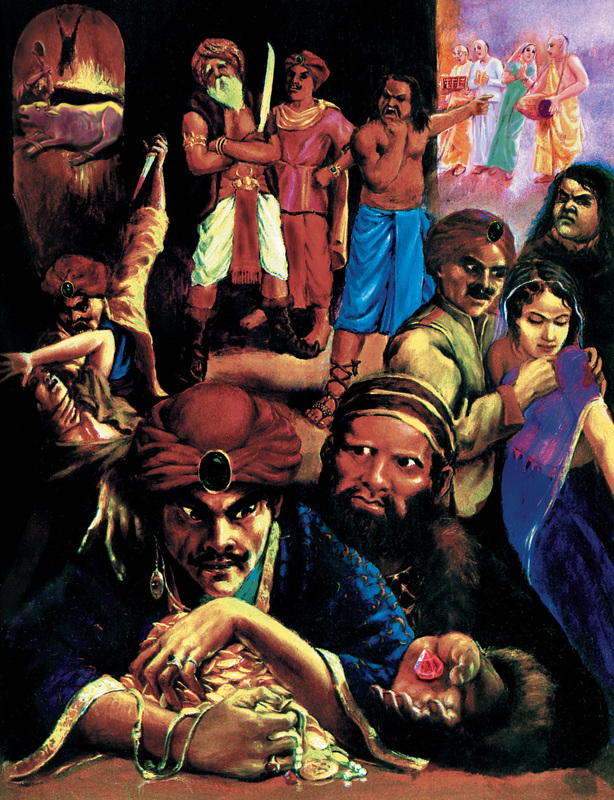 Bhagavad Gita Art Gallery--Plate 39: Lust, greed, and anger are the three gates leading down to hell.. Lust, greed, and anger are the three gates leading down to hell. PREVIOUS Bhagavad-gita 16.10-18 A sample of the demonic qualities is illustrated here.